My wife got me Penhaligon's Sartorial EdT and it's great - musky and a hint of sweetness and maybe some wood (reminds me of Clubman a little). Anyway, I see there's a matching ASB but it's $55 for a tube. Has anyone tried it and if so, can you compare it to any other brands balms? Especially if you can compare it to AoS, DR Harris, or L'Occitaine which I have so that would help me. It is an excellent product. It actually does heal and moisturize well. It's strongly scented also. It's thicker than AOS and heals better. AOS just seems to moisturize to me, as where this has more going on. It also thicker than Harris and also heals better. Pens just has more going on - definately moisturizes better than both and sinks in better. I agree, it's an excellent product. It's a fairly large tube and the ASB is thick and a little goes a long way, so it does last for quite a while. Sartorial is one of my favorite scents, and I would never be without the cream, ASB, and EdT. Nice! I love AoS balm so to know the Penhaligon's is better is quite the sales pitch. 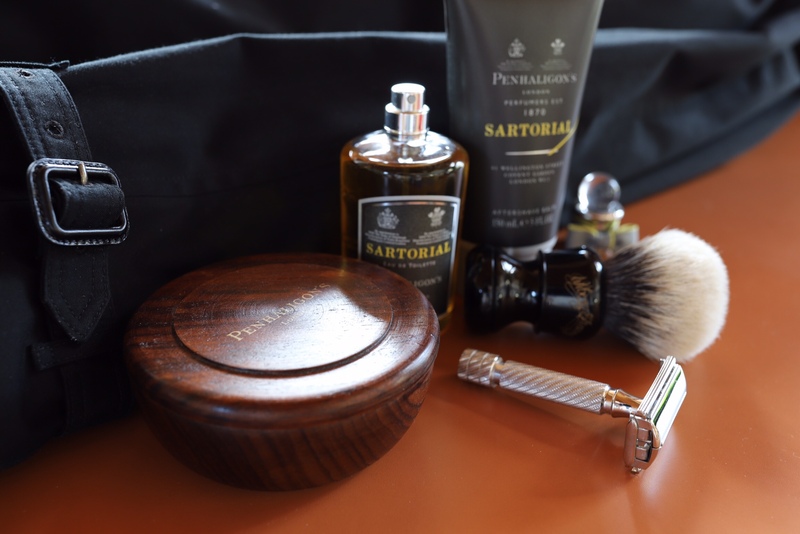 Yes...the sartorial aftershave balm is great! I did a sartorial super lather yesterday, followed by the balm, and the the Edt, and the layering made it all incredible! I like the full series. The price you mentioned seems rather steep, though.